Hi lovelies! It's time for the next installment of Sam from The Belle Jar and I's monthly Disney nail art collaboration! This month's theme is Winnie The Pooh so as we usually do Disney couples for these posts, we decided to have free reign to choose our own characters this month. Whilst Sam decided to do a group of Winnie The Pooh characters for her cute-as-hell design, I went for the gloomy but totally lovable Eeyore! For this look I decided to base the design around Eeyore's stitching and tail and although it was a fairly simple to do, I'm actually really pleased with how this turned out! 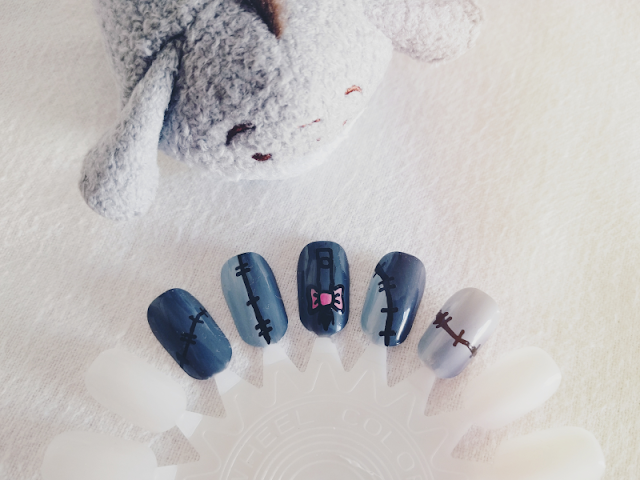 To achieve this look I used a dark and a light grey polish (Barry M Nail Paint in Grey & Ciaté Nail Polish in Chinchilla) to represent the two shades on Eeyore's body and then black and pink nail art pens (Barry M Nail Art Pens in Black & Pink) for his stitching and tail. I think I definitely need to DisneyBound Eeyore now in the parks one time so I can re-create this look! What do you think Eeyore fans? 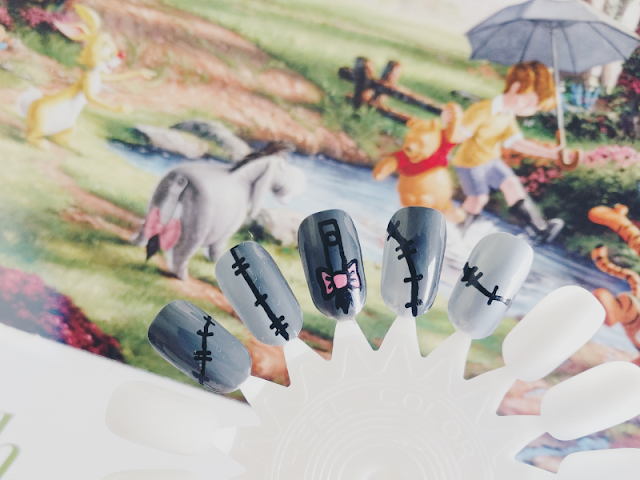 Remember to check out Sam's adorable take on the Winnie The Pooh characters, I think it's my favourite nail art design of hers so far!